LOWLAND League side Gretna 2008 are making strides to help stop prostate cancer being a killer by organising their own Football Festival as part of Prostate Cancer UK’s first Walking Football Month. The Black and Whites have stepped up to join more than 45 other walking football clubs across the UK in signing up to host a friendly Festival this September, in a bid to fight back against the most common cancer in men. 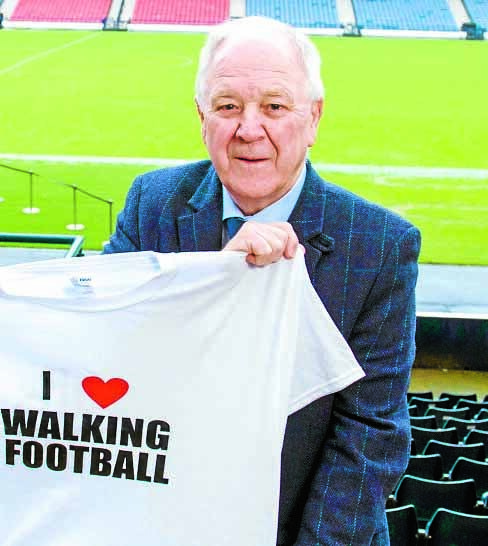 Walking Football Month has also been backed by former Scotland football manager Craig Brown CBE, Walking Football Scotland’s Ambassador. Craig said: “Prostate Cancer UK’s Walking Football Month, this month of September, will be featuring Gretna FC 2008 who will be hosting their own friendly festival to raise awareness and funds for important research. In the UK, about 1 in 8 men will be diagnosed with prostate cancer at some point in their lives. The Football Festival is at Raydale Park on Sunday September 30 at 12 noon.